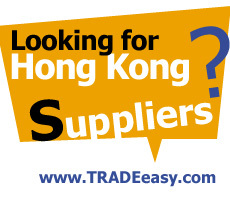 GlobalMarket > Sourcing Tips > Apparel > What do you know about the history of the zippers ? Zippers are critical components in all of the fashion materials, they are the essential ones in whole materials as well. Zipper was founded in a hundreds years ago ,it is known as one of the greatest inventions of the 20th century . Elias Howe, the inventor of sewing machine ,have created a he created a patent for a device named An Automatic Continuous Clothing Closure, which had a similar function to the modern zipper, that is the first semblance of zipper . Whitcomb L. Judson have became the reformer more than 40 years later .He began devising the patent “Clasp Locker or Unlocker for Shoes.” The design was essentially a guide (now known as a fastener or slider) that was used to close the space between a shoe’s clasps on one side to the attachments on the other. Because it’s difficult to produce and seen as time consuming , Whitcomb started a second reform. This device, later called “C-curity” was a series of loops (short metal extensions) that were manually laced into the boot or shoe. Although it’s not successful reform ,it still had a tendency to spring open. In 1917 , Engineer Gideon Sundback improved Zipper to morden commonstyle and patented it . When Zipper effect on garments can show style of casual or capable .Nowadays, people respect for individuality and freedom, zipper have unique ,distinctive deco and deep symbolic. That’s the reason of zipper can stand out in many fashion accessories .Designers always use zipper as an important element in fashion design .There are many types of zipper, such as Coil zippers, Invisible zippers, Reverse coil zippers, Metal zippers, Plastic-molded zippers, Open-ended zippers, Two way open-ended zippers ,and so on . As one of the major garment accessories , whether experimental or functional decorative, zippers are playing an important role. 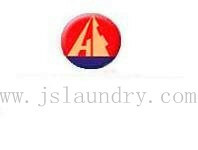 Zipper is used in fashion design widely, fully reflects the importance of the zipper in the area. 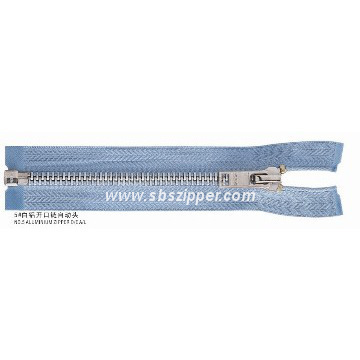 Founded in 1992, Fujian SBS Zipper Science and Technology Co., Ltd has become the first listed company of the zipper sales in 2006 China Shenzhen Stock Exchange Market (Stock code: 002098). SBS headquarter office is located in the beautiful Shenhu Bay of Jinjiang City, Fujian province. 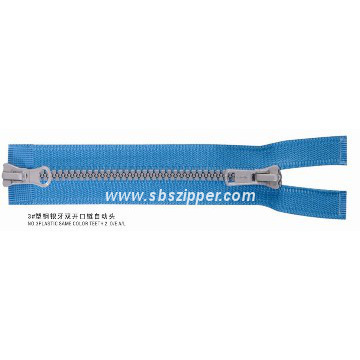 SBS Zipper has five manufacturing bases scattered around China in Fujian, Shanghai, Tianjin, Dongguan and Chengdu. 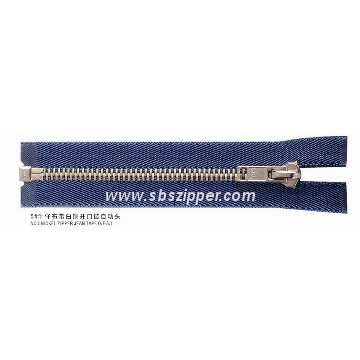 SBS Zipper's national wide manufacturing and distributing system constitutes solid basis for our future development.SBS has been the No.1 sales brand of china more than 10 years and the second largest zipper manufacturer and distributor worldwide. Nylon waterproof zipper,open end,auto lock. We are a special manufacture producing all kinds of zippers , such as plastic zippers, metal zippers , nylon zippers , diamond zippers and so on . plastic &vislon zipper,shinny golden puller,closed end. 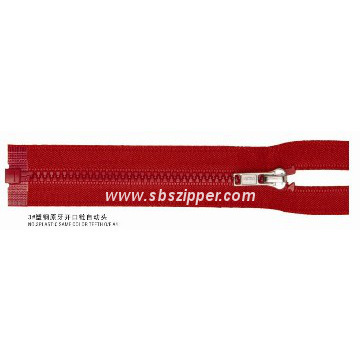 we can supply metal zipper, nickel zipper, anti-brass zipper,black-nickel zipper.The color and size is for your request.